However, you are not permitted to redistributed, sell or utilise any of the resources in a commercial manner without the written permission of those who created them. 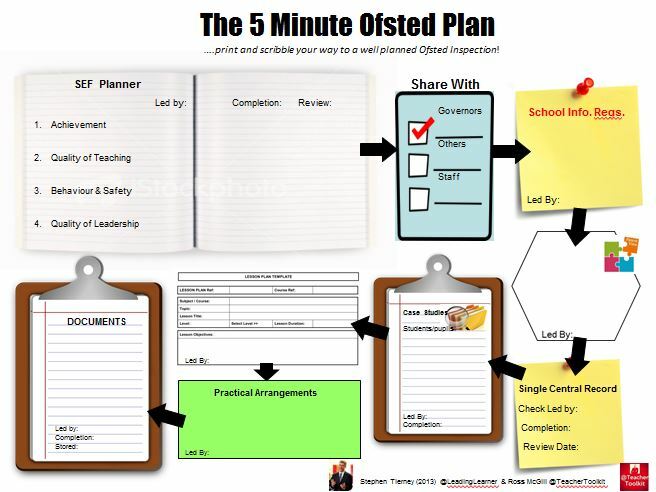 This plan was co-created by @LeadingLearner & @TeacherToolkit. 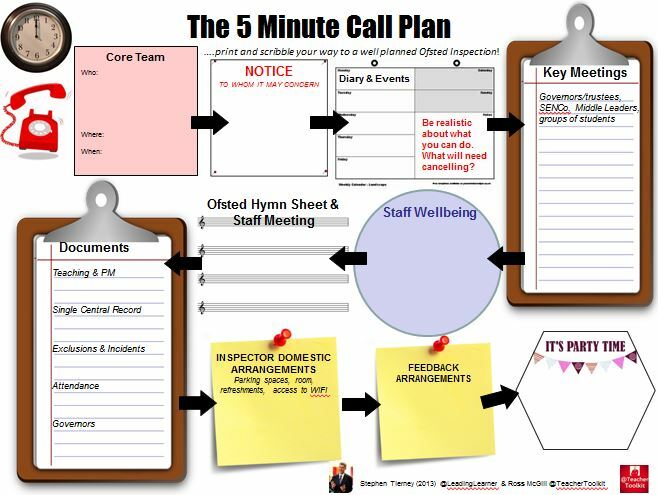 It aims to help you maximise the impact of your planning & preparation so you are ready for that call. It aims to help you maximise the impact of your planning & preparation once you receive that call. The following two resources have been prepared to help analyse and track students entitled to Pupil Premium but may be used to track students generally. 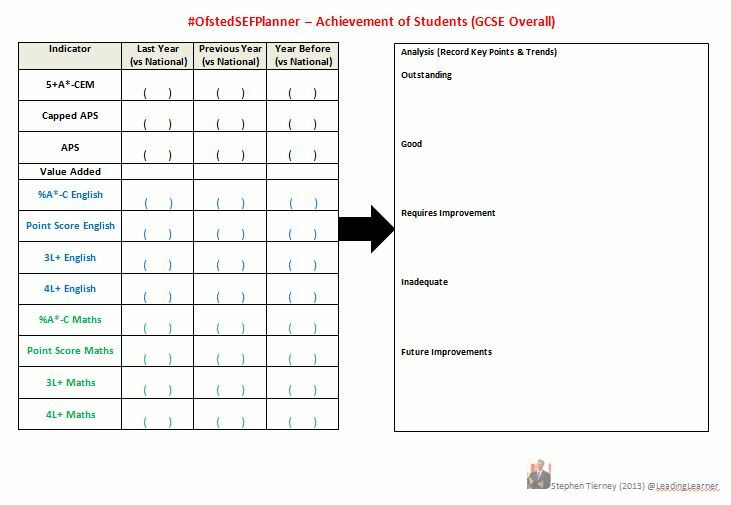 This planner is designed to help you produce your Self Evaluation form by using a series of templates to collate and analyse key achievement data. 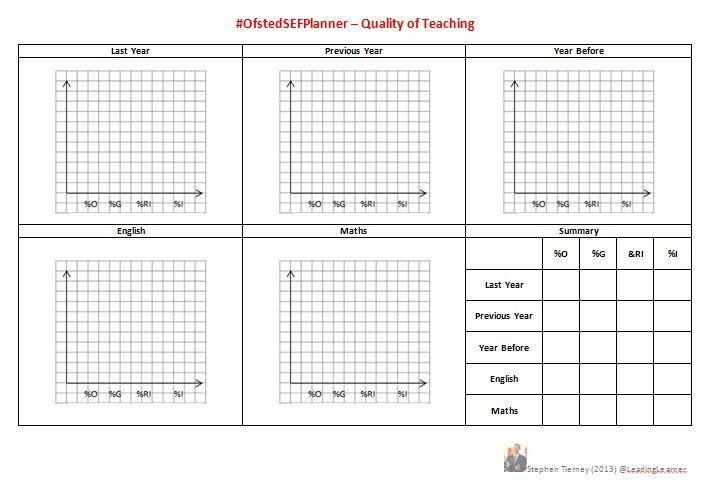 This planner is designed to help you produce your Self Evaluation form by using a series of templates to collate lesson observation and associated data and analyse it alongside key achievement data. 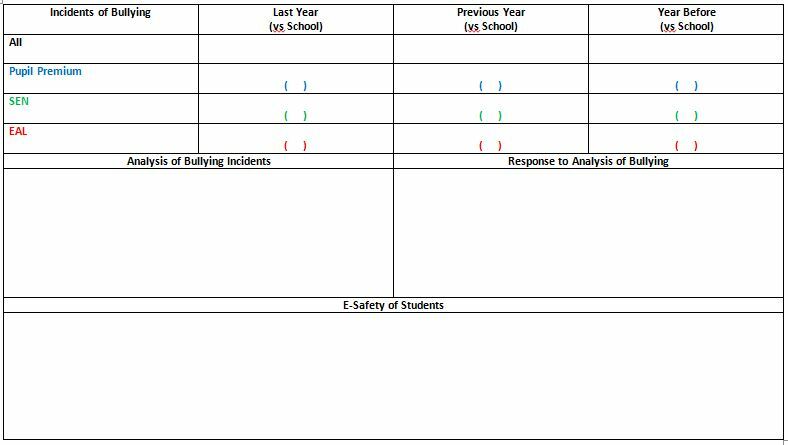 This planner is designed to help you produce your Self Evaluation form by using a series of templates to collate data about attendance, exclusions, behaviour, learning behaviours and bullying. 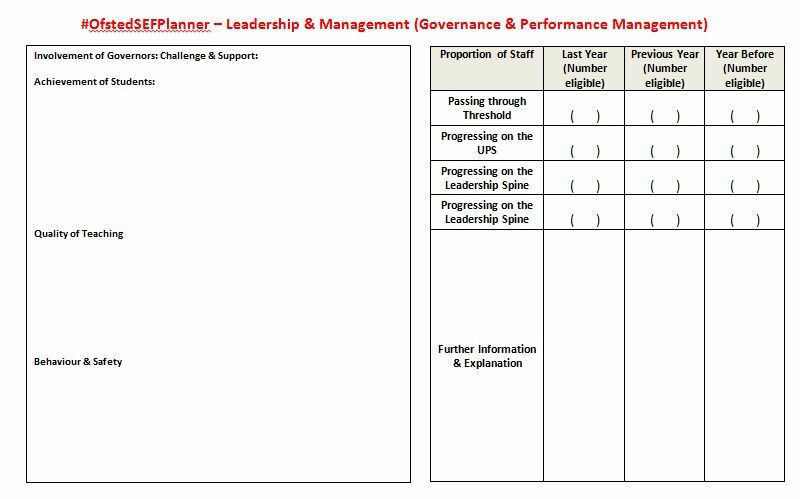 This planner is designed to help you produce your Self Evaluation form by using a series of templates to collate information and data on Leadership & Management.